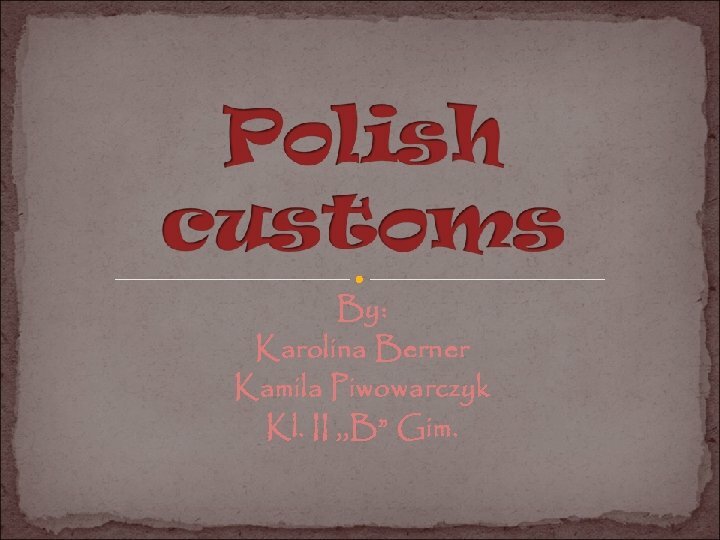 By: Karolina Berner Kamila Piwowarczyk Kl. 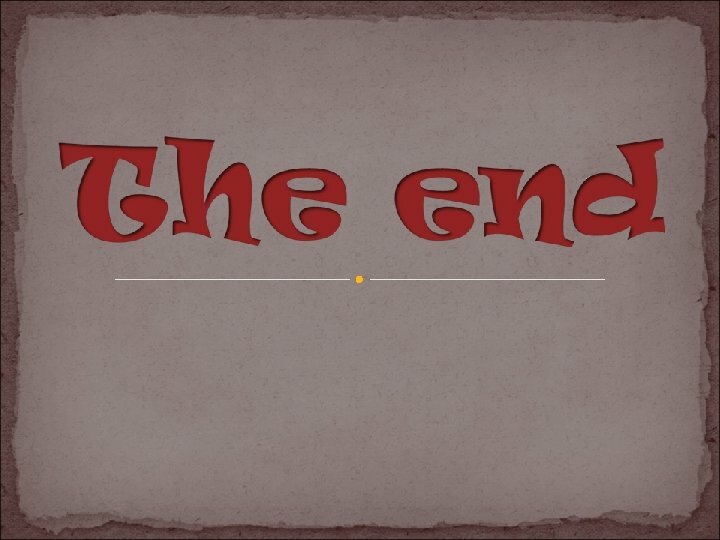 II , , B” Gim. 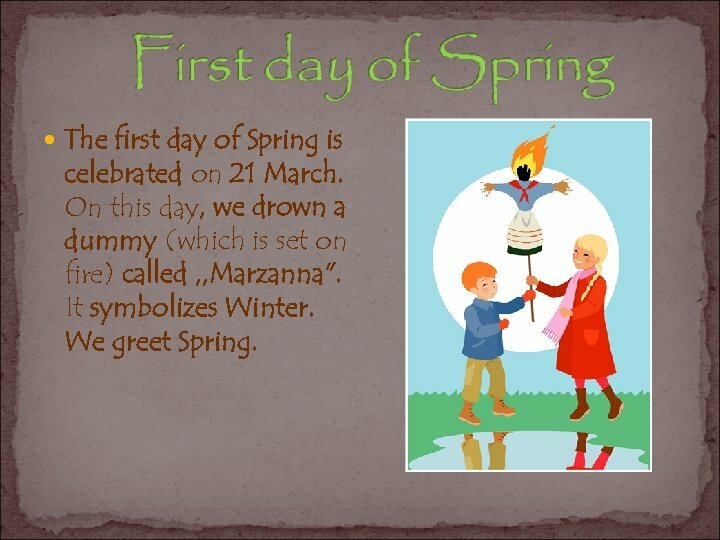 The first day of Spring is celebrated on 21 March. On this day, we drown a dummy (which is set on fire) called , , Marzanna". It symbolizes Winter. We greet Spring. Women’s Day is celebrated on 8 March. On this day women get presents. 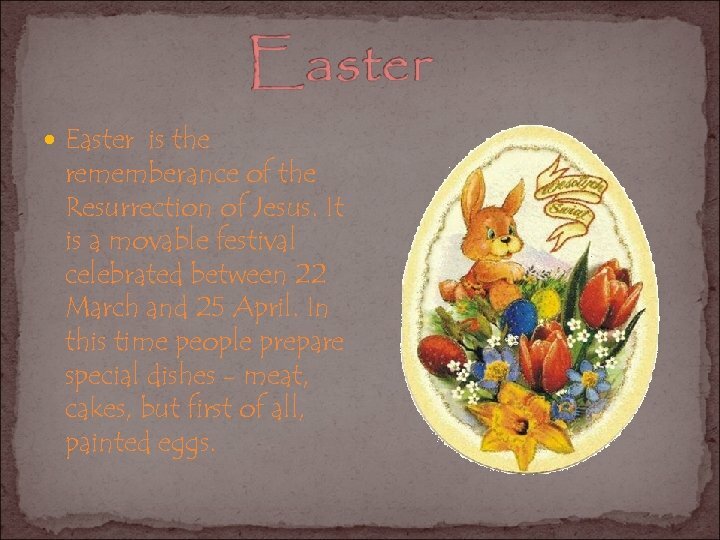 Easter is the rememberance of the Resurrection of Jesus. It is a movable festival celebrated between 22 March and 25 April. In this time people prepare special dishes - meat, cakes, but first of all, painted eggs. 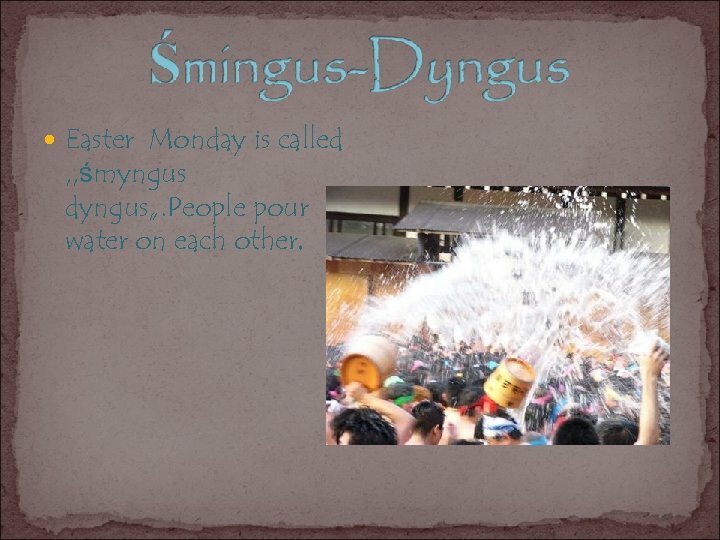 Easter Monday is called , , śmyngus dyngus„. People pour water on each other. 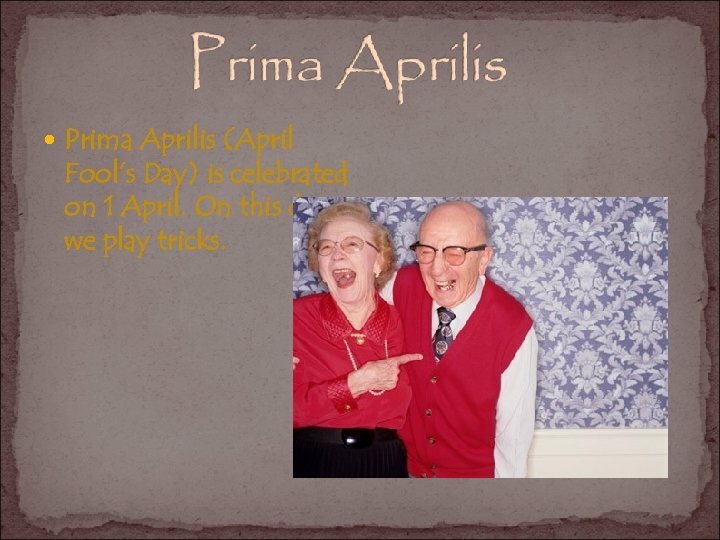 Prima Aprilis (April Fool’s Day) is celebrated on 1 April. On this day we play tricks. 3 May is celebrated in the memory of voting for the First Polish Constitution in 1791. On this day we do not go to work, there are organized concerts and galas. 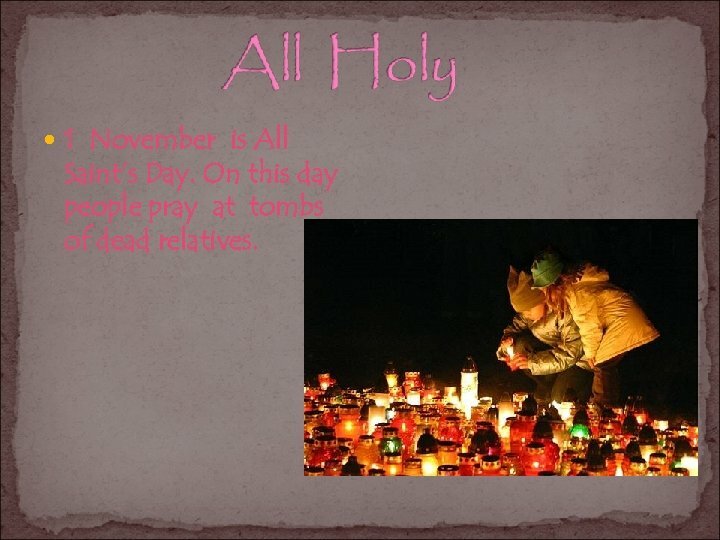 1 November is All Saint’s Day. On this day people pray at tombs of dead relatives. 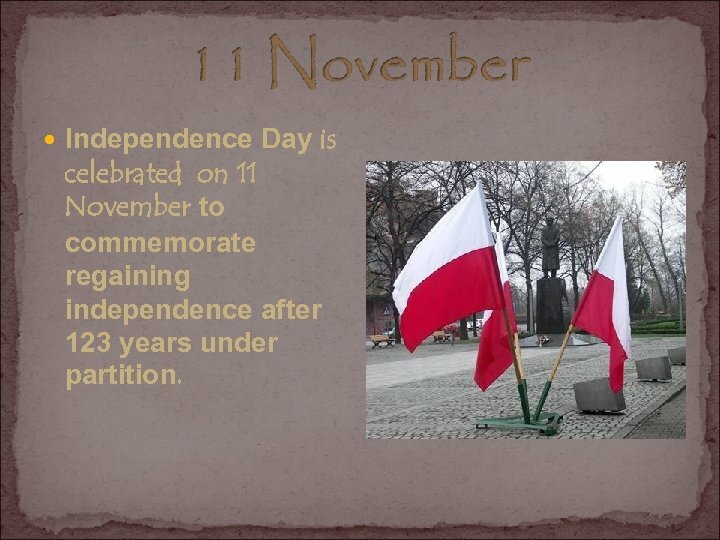 Independence Day is celebrated on 11 November to commemorate regaining independence after 123 years under partition. 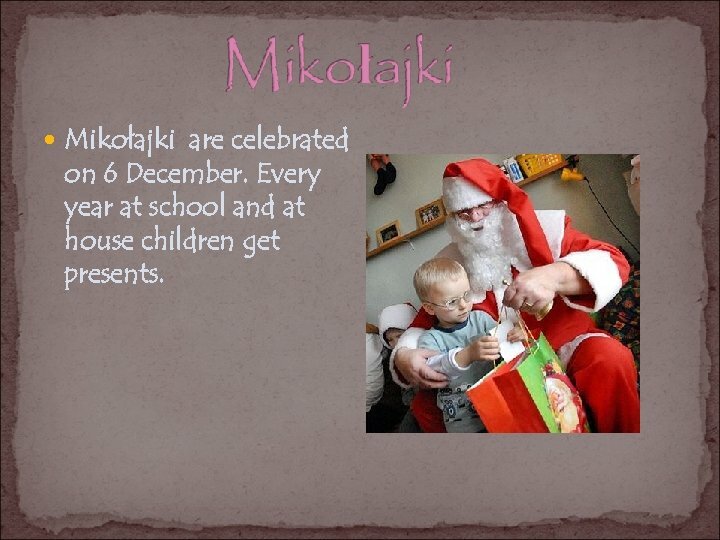 Mikołajki are celebrated on 6 December. Every year at school and at house children get presents. 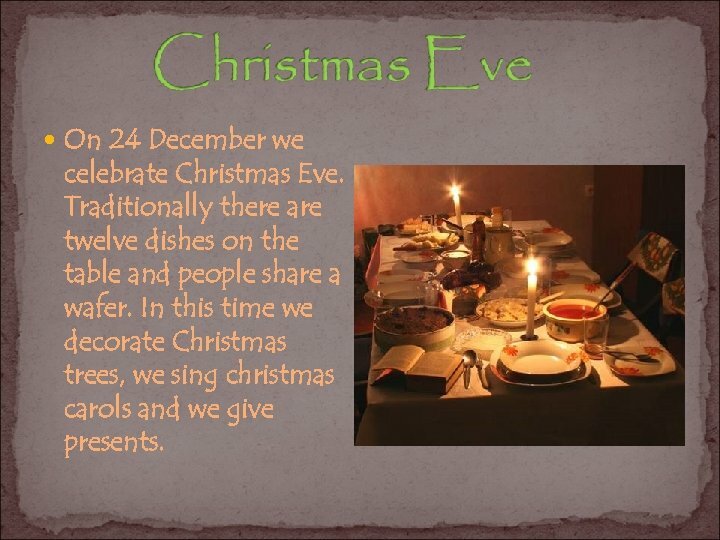 On 24 December we celebrate Christmas Eve. Traditionally there are twelve dishes on the table and people share a wafer. In this time we decorate Christmas trees, we sing christmas carols and we give presents. 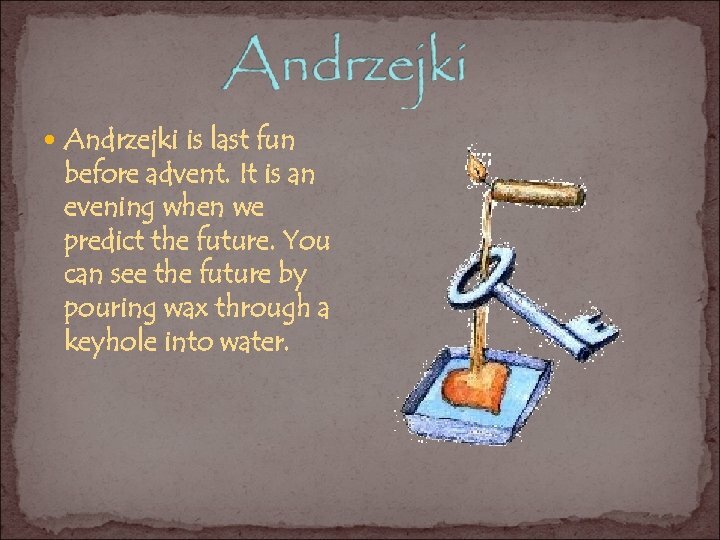 Andrzejki is last fun before advent. It is an evening when we predict the future. You can see the future by pouring wax through a keyhole into water. On wedding parents greet the newlyweds with bread and salts. The bride and groom have their first dance. 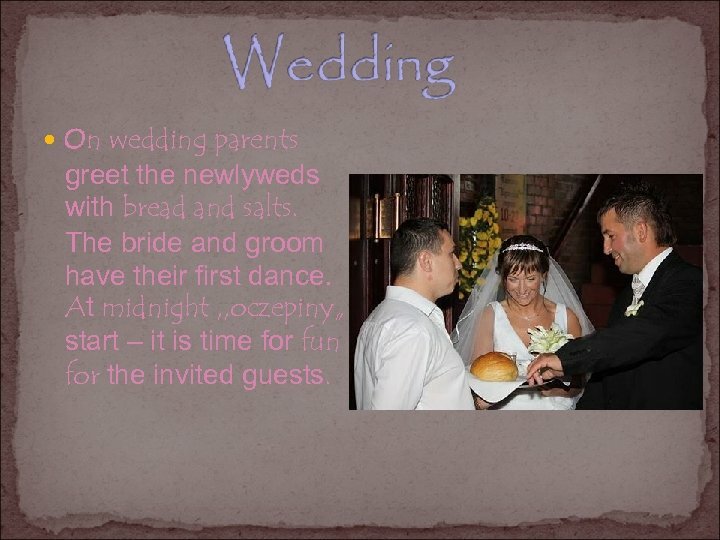 At midnight , , oczepiny„ start – it is time for fun for the invited guests.